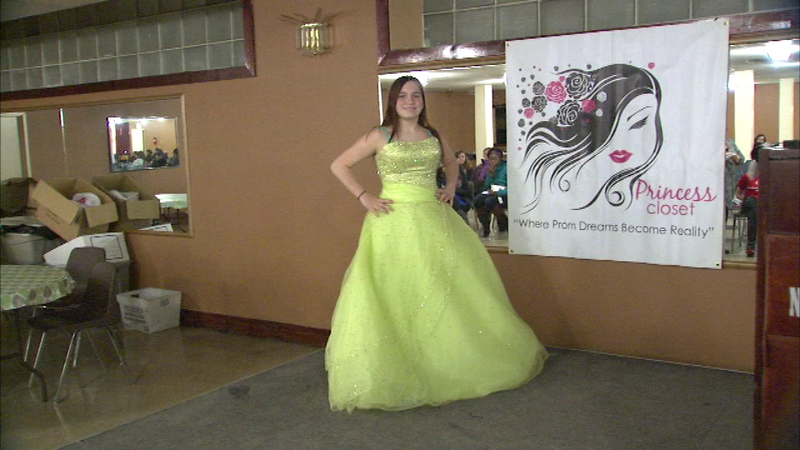 A prom dress giveaway was held Sunday at the New Vision Community Church in North Lawndale. CHICAGO (WLS) -- Girls around the Chicago area will now be able to go to their prom thanks to the donations of hundreds of dresses. Girls tried on dresses and were each allowed to take one home. The dresses were donated by "The Princess Closet."